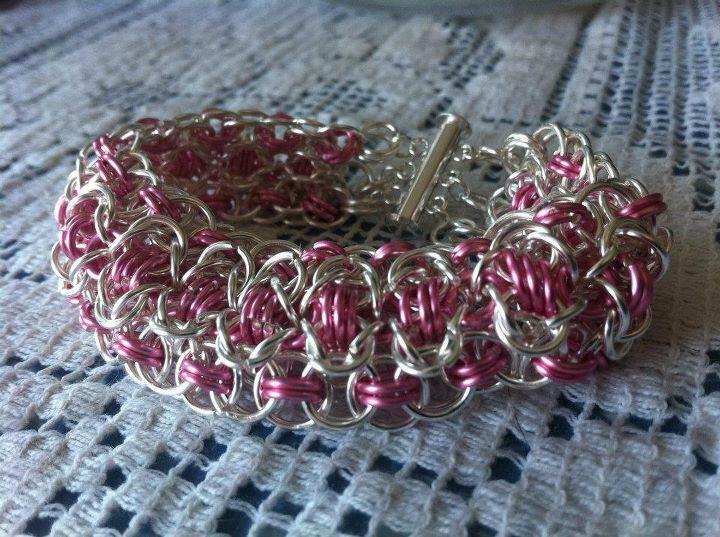 silver wire jump rings with pink wire jump rings create this cuff. including 18 and 21 gauge square, half round, and twisted square. 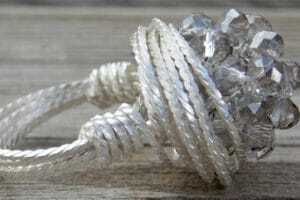 When using ParaWire’s tarnish resistant silver wire you are not just working with a silver colored wire, you are working with actual silver wire. 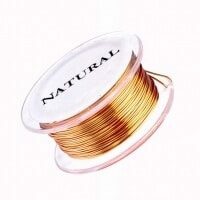 We start with 99% pure smooth copper wire and plate it with a liberal amount of 99% pure fine silver. 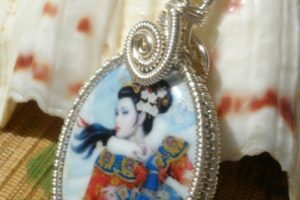 This silver wire is then clear coated with a protective enamel to prevent tarnishing. 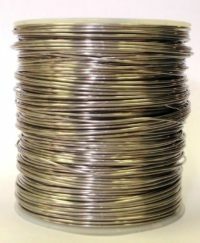 Using only the purest materials and 100 years of wire experience we create the highest quality silver craft/jewelry wire on the market. ParaWire is soft, but strong. Our exclusive coloring process produces the truest colors with the most resilient finish. 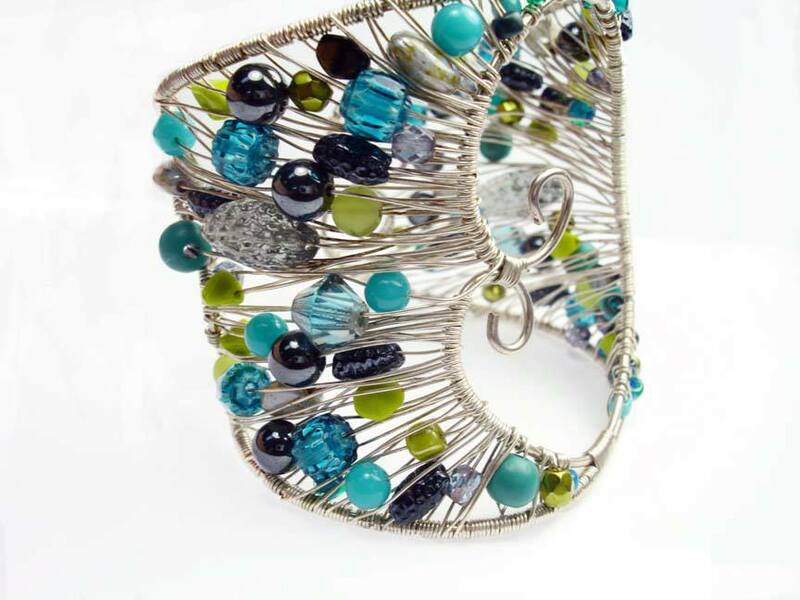 Metallic colors are 99% pure copper wire with ParaWire’s exclusive non tarnish coating. Silver plated colors are copper wire plated with fine silver before the final color is applied. 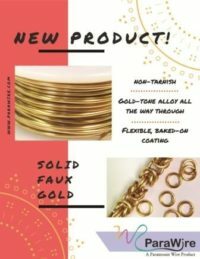 It is ideal for wire wrapping, wire crochet, viking knitting, making your own jump rings, wire knitting, etc. This silver is great for many projects. Very shiny and bright. 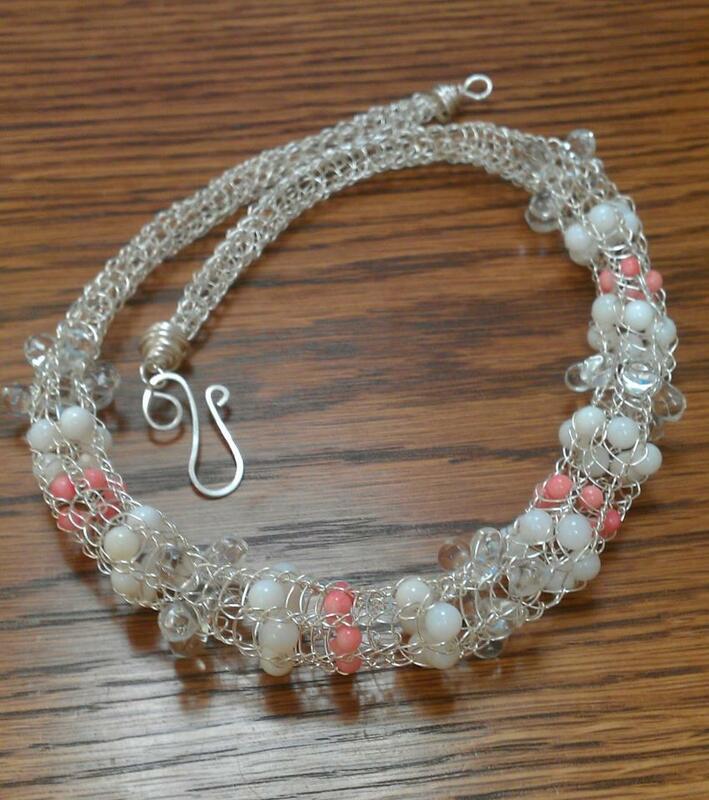 I keep running out of this silver wire because EVERYBODY loves it and wants me to use it for their bracelets! Love love love it! I’ve been using the 30g wire for crochet work. 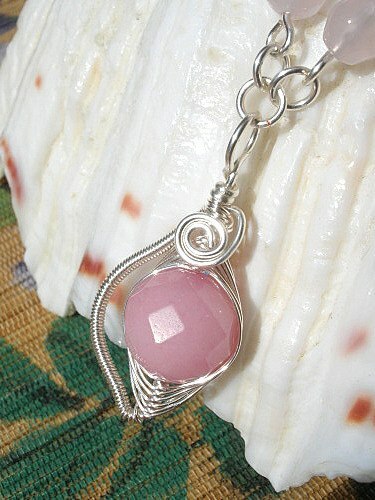 Love the flexibility and smoothness of this wire. The coating has staying power. 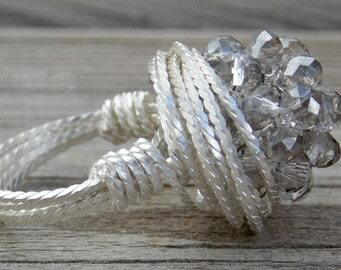 Other wires tarnish quickly, but this wire keeps it’s shine after many wears. I’ve been using this silver for 8 plus years, it’s my go to silver to keep costs down and still have a quality product. Bright shiny, dead soft, the non tarnish coating makes it much more scratch resistant than other plated wires. I love using this wire! 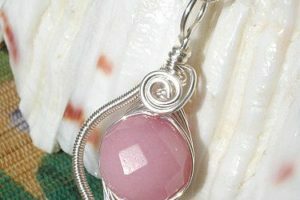 This wire is a dream to work with, easy to wrap and looks great! Lastly, I bought round Silver 20 Gauge (40 feet) for my first endeavor – beautiful, bright, and easy to work with. While my current order does not contain the Silver in any gauge, I am going to be buying Titanium, Antique Copper, and Vintage Bronze 18 Gauge, along with Antique Copper in 20 Gauge to add to the remaining silver (still no tarnishing!!) and gunmetal I have from that initial order in Sept 2015 – love variety! 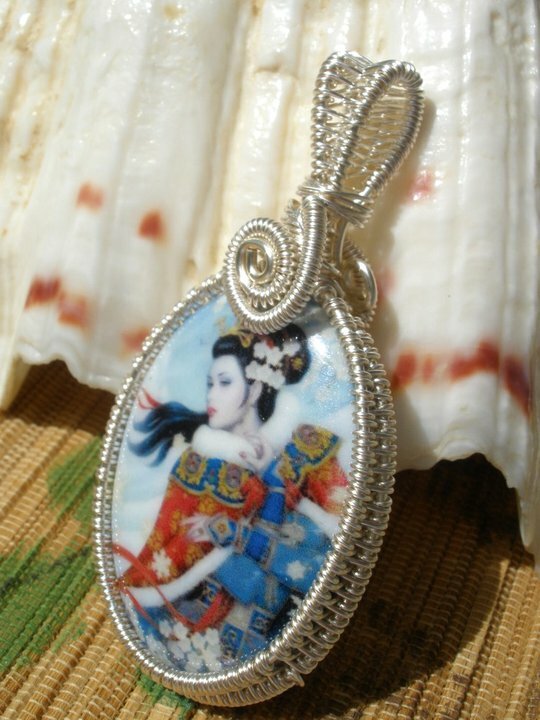 And I love that it is manufactured in the USA…I usually buy on ebay for my jewelry-making supplies because of the great pricing, but most of those materials come from China and take a while to get. Customer service and quality with Parawire is just hard to beat, and the prices are very reasonable for all the good that comes with the products! I use a lot of silver, not just for jewelry but also sculptures. The shine on this silver is fabulous and the non-tarnish makes it even better. I will be buying more in square and half round. Wow! Extra fast delivery! 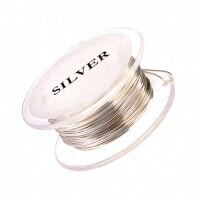 This wire is a beautiful bright silver and all the gauges I purchased are supple, even the 12 gauge. I couldn’t be happier. 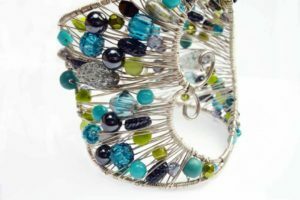 I can’t wait to see what the next sale will be so I can have an excuse to stock up on that wire too! I’m sold on Parawire, I will be back to order more. I love this wire! I even did a Youtube video using a couple of the wires to show how easy it is to work with as well as the great quality. I don’t what took me so long to get hooked on Parawire. But I am now! Worked very well & so easy to use – will be back for more & love the fast shipping! Love this non-tarnish silver! 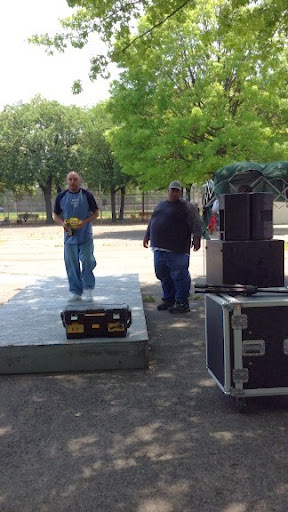 I got 12, 18 & 20 ga. Very shiny. Easy to work with, even the 12 ga. will definately buy more. I bought many rolls of different colored wire. I bought 3 rolls of 26 gauge of silver wire. 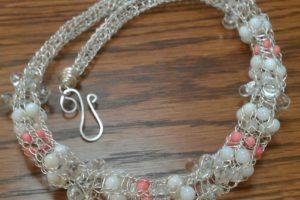 I used the wire for the first time and couldn’t believe how “silky and smooth” it was to work with. I used the entire roll to make Viking Knit Weave on my 1/2 inch lazee dazee Viking Knit Weave tool. I was really surprised how soft the wire was during the process. I will definitely buy more of the silver. It is beautiful. Excellent wire! I bought it in round 20 gauge. The color is very lovely; bright silver and with a beautiful shine. The wire is very smooth and quite malleable, but feels very sturdy. I did a test on the end to see how durable the coating is, and I tell you, I had to positively destroy that wire before it showed any sign of damage. I’ll be trying other colors of wire from this website with confidence in their quality. Very happy with my purchase. 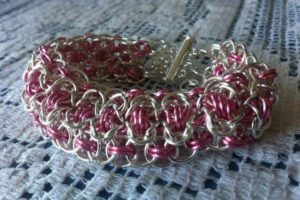 As an update to my previous review I recently purchased more of the silver wire in 18 gauge I have gotten into chain maille, wow, I needed a bigger spool. I can’t get enough of your products. I can’t wait to make another purchase. I can’t wait to start buying your silver filled.